If you’re considering building a new Adelaide carport one of the best places to locate it is smack-bang against your home, particularly if you have access to the house from that position. No more getting caught in the rain while trying to get from your car to your house and vice-a-versa! However, attaching the roof of a carport (or any outdoor structure) directly to the fascia of your home isn’t always a good idea. While many householders and builders look to the fascia of the house as the attachment point, it’s sometimes not the best choice. There are two main reasons for this. Firstly, fascias are designed to carry the weight of eaves, gutters and spouting. They’re not always designed to carry the weight of a roof, particularly if your Adelaide carport roof is going to be large. Secondly, if the existing roofline of your home isn’t high, attaching the carport to the fascia, essentially just under the roofline of your house, is going to result in the roof of your carport being quite low. Which may result in your carport feeling dark and closed-off. Perhaps even more importantly, if you want to store higher items in your Adelaide carport, such as a large boat or caravan, a roof connected to the fascia simply won’t be high enough in most instances. 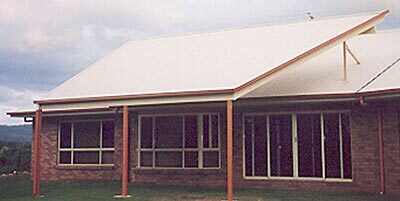 So, if the fascia of your house isn’t the best option to support your Adelaide carport roof, what is the best choice? Simple – raise the roof to new heights! 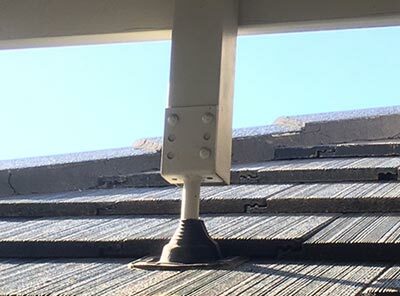 Raising the roof of your carport or other outdoor structure is often achieved by using extenda brackets, which bolt onto your home’s roof structure and are then used to support and connect the roof of your carport. They come in various lengths, so you can raise your roof a little or a lot, depending on your desires and your home’s existing roof shape. Custom-made brackets can also be used to achieve the same result. Whether commercial or custom-made, these brackets can be attached to any roof – tiled and metal – and can easily be sealed to ensure your roof’s waterproofing isn’t compromised. The end result is a new Adelaide carport with a safe and strong connection to your house and a roof that will stand anything that Mother Nature will throw at it. At the same time, your carport will allow more light in and feel more open than if the roof was attached to the fascia. Want to know more? Then give Mr Carports a call on 1800 557 782 or visit the Adelaide carports page on our website.